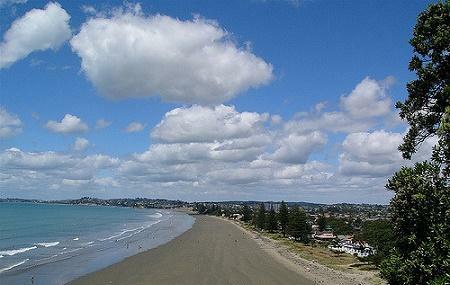 Orewa is famous for its beautiful beach, a 3 kilometre patch of golden sand and clear blue waters. A lot of water sports also take place at the beach. Don't forget to apply sun screen. How popular is Orewa Beach? People normally club together Hilton Close and Mcelroy Scenic Reserve while planning their visit to Orewa Beach. Lovely place to visit. Been going there for more than 50 years..huge changes🌞from beaches and dunes to Multimillion dollar houses and apartments and shopping centre. Loads of fun for the family. This beach was of course beautiful with the tall trees and children screams. The playground , and the shops just across the road were really convenient but the lack of benches, seating area , unhygienic changing rooms and toilets was unavoidable due to the frequent visits of the people around /out of town people . Having more taps around for washing the sand of of the feet will be REALLY nice as many beaches lack it when sand is almost everywhere. Maybe little shelters would also be pretty helping. It would be TREMENDOUSLY great if the next visit would be a little more better ✨. Lovely beach. Very picturesque. If you're after sandy beaches with waves, this is not it. Beach is very flat, so ride goes out a long way. Sand is more like a riverbank - muddy sand. I love Orewa beach. Nice spacious soft sand area. Large beach area. Great playground off the beach and a basketball hoop yard. After your swim you can walk to the main street and find a nice restaurant or ice cream place.